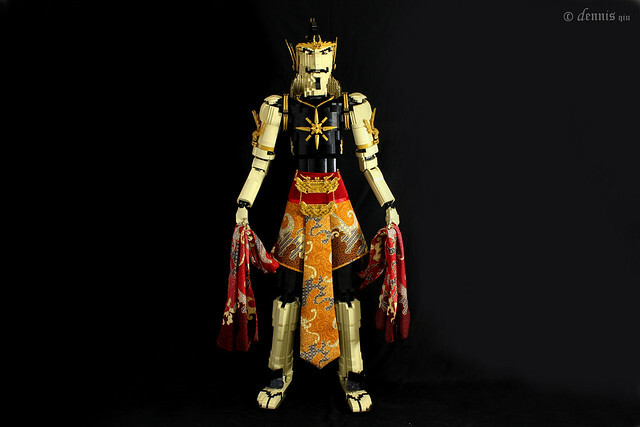 According to builder d' Qiu Brick GatotKaca is an "Iron boned Ashura Hunter Inspired from Indonesia Wayang kulit performance, Gatotkaca is a half blood Ashura who had been born with the body of an adult. He can fly across the skies like lightning and hunt down is enemies the Asuras". I don't know what else I can add except "wow!"